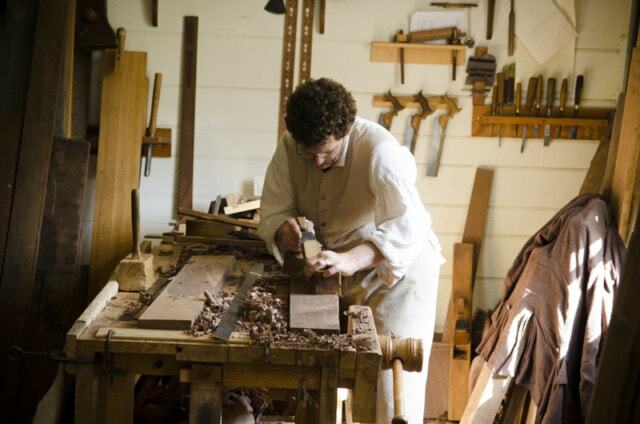 Why Traditional Woodworking with Hand Tools? 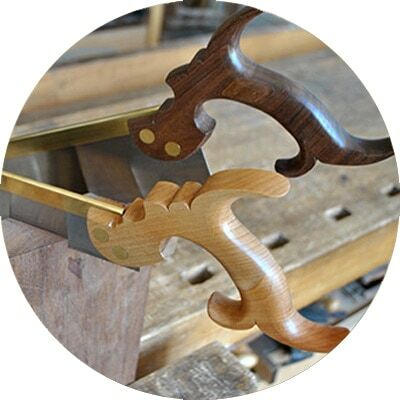 Home/Why Traditional Woodworking with Hand Tools? 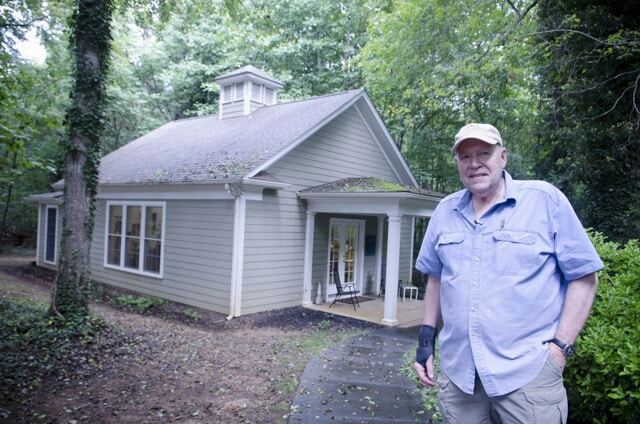 A growing number of people have become dissatisfied with the modern throw-away lifestyle. 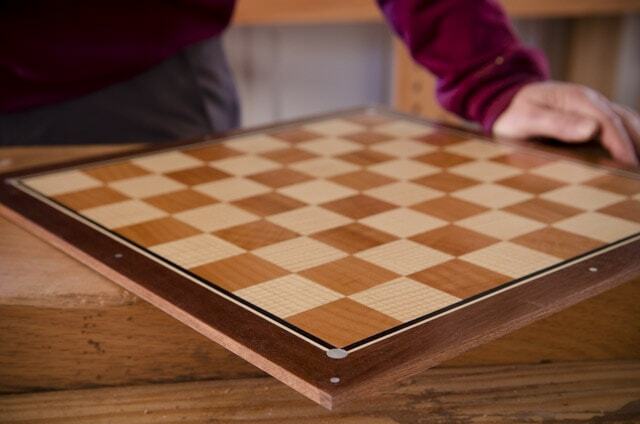 Inexpensive, and cheaply made furniture and products have flooded into our homes, and they typically find their way out our doors, and to the landfills not long afterward. Furniture is meant to last one or two moves. It’s a cycle of consumption that was unknown to our ancestors, who lived in a time when furniture and other goods were built to last a life time…usually multiple lifetimes. 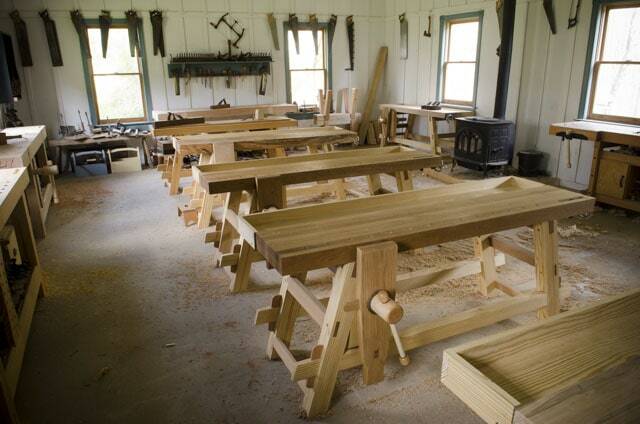 At WoodAndShop.com and at the Wood and Shop Traditional Woodworking School, we don’t dictate a certain style of furniture, but we do encourage that furniture be built well; really well, with traditional joinery techniques, which include dovetail joints, mortise & tenon joints, tongue & groove joints, etc. 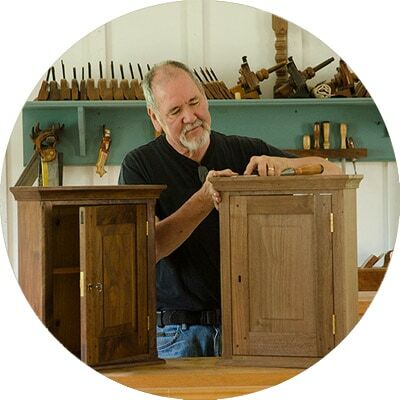 While I certainly use power tools for many tasks in my workshop, I find that I have become a better furniture maker by incorporating the use of hand tools. 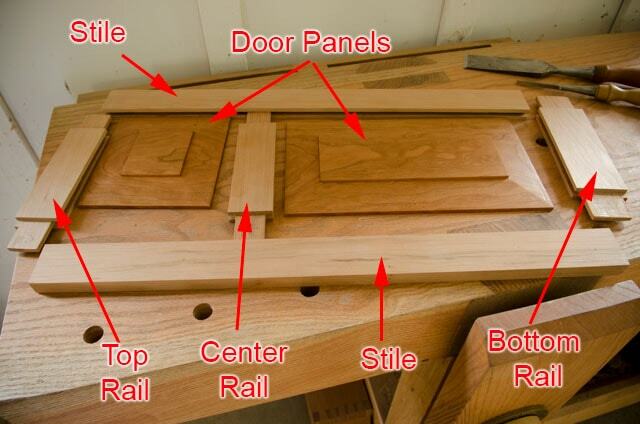 I understand furniture construction in a much better way because of it. 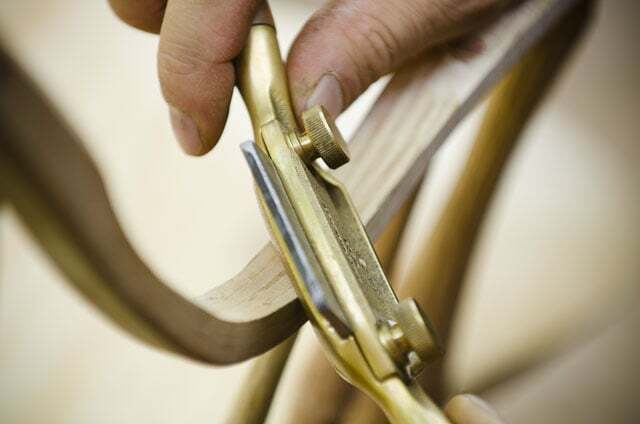 And believe it or not, using hand tools can often be faster than using hand tools. 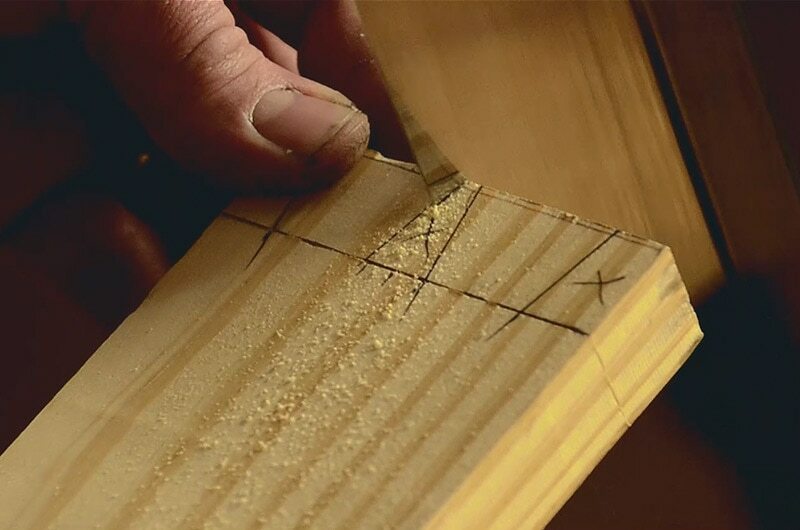 If I’ve got one or two mortise & tenon joints to cut, it’s usually faster to make them with hand tools than by setting up all the power tools to make the same joints. 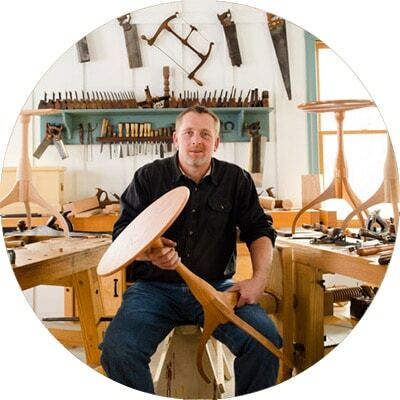 I love the history of classic furniture construction and love the history behind these heirloom hand tools. 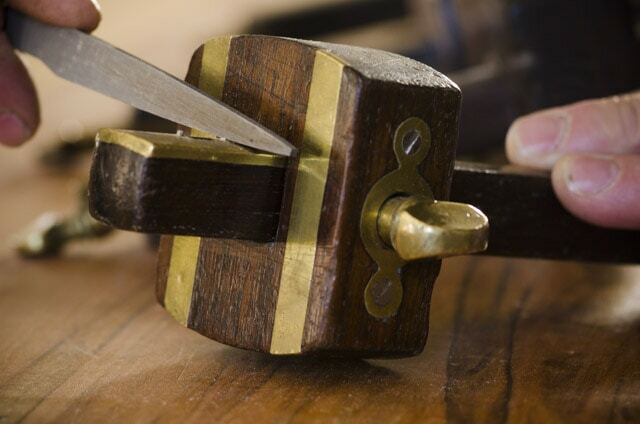 It is so interesting to pick up a 100-200 year old hand plane, and think of the person that used it to create beautiful furniture in a time when there was no electricity or modern conveniences. And quite often you’ll see the original owner’s name stamped into the tool, along with spots where their hand wore into the wooden tool. If you ever get a chance to visit the Hay Cabinet Shop at Colonial Williamsburg, you’ll get to feel what I’m talking about (you can see the tour series that I filmed, here). 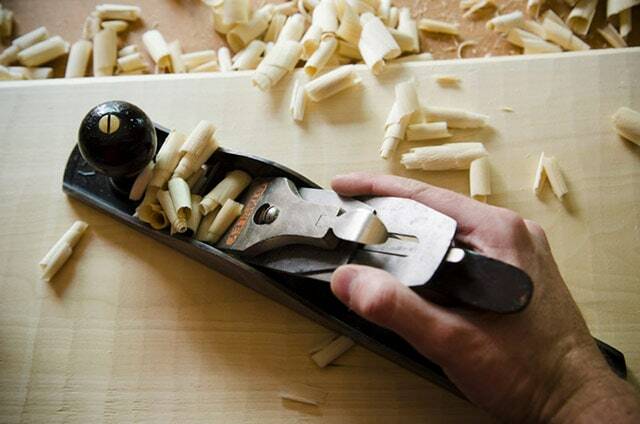 When you start to get interested in woodworking hand tools, you’ll quickly become addicted. 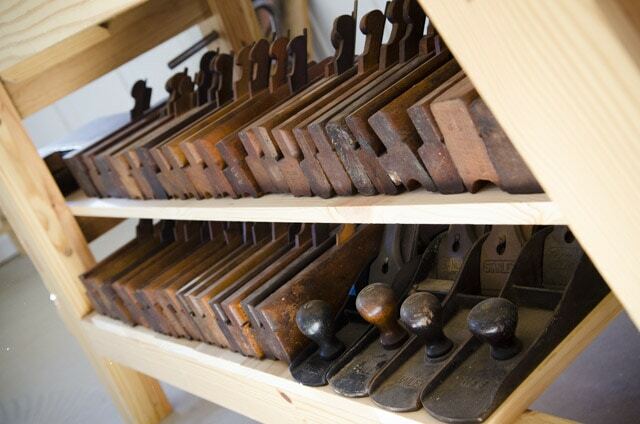 A natural high comes from finding and refurbishing these age old tools. 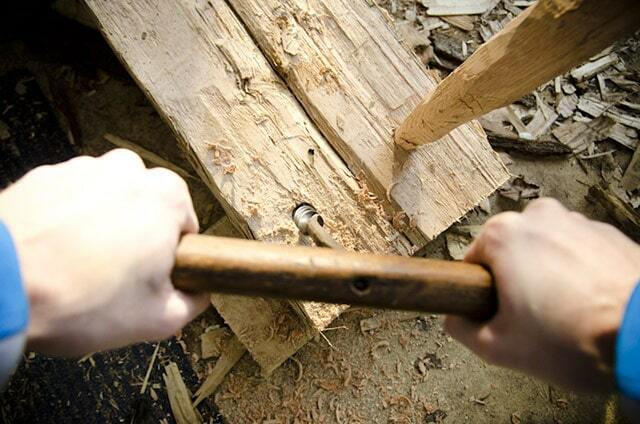 You can check out my hand tool guide here to assist you with getting started in your addiction. 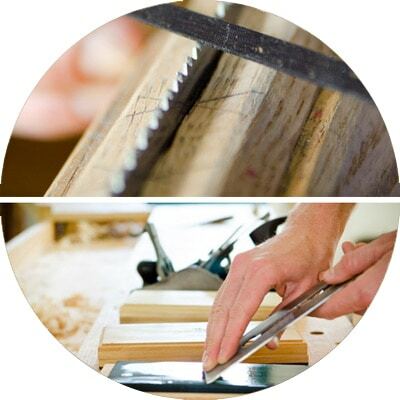 While using power tools can be quite safe, if you follow safety guidelines, there comes a certain sense of comfort knowing that large blades aren’t spinning thousands of miles per hour, just inches away from my hands. I still get on edge when using my table saw (which I think is a good thing). 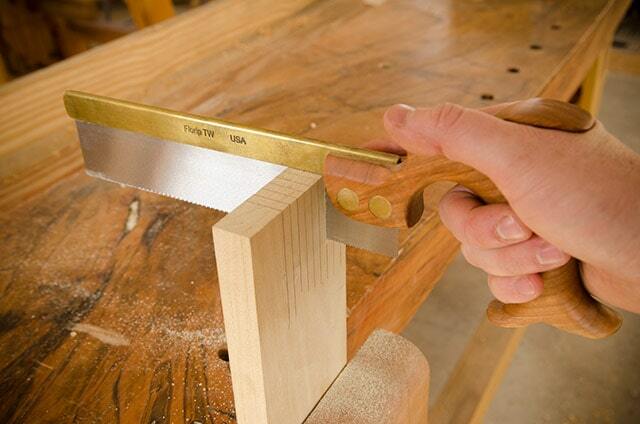 Using hand tools certainly isn’t without any risk, but the risk appears much smaller. 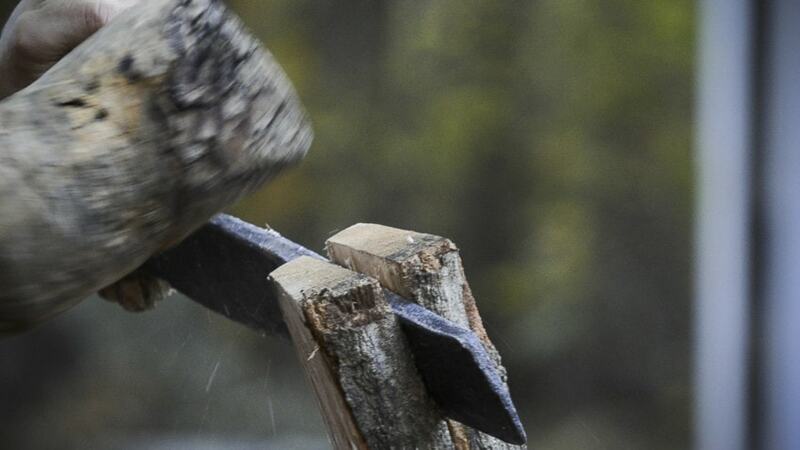 Just last week a friend of mine cut off the tip of his thumb on the power jointer at his work. He just let his attention slip for a moment. And a couple weeks ago a follower sent me a message letting me know that he had cut off much of his hand on his table saw. Will those experiences stop me from using my power tools? No. But it does make me more nervous, and aware. 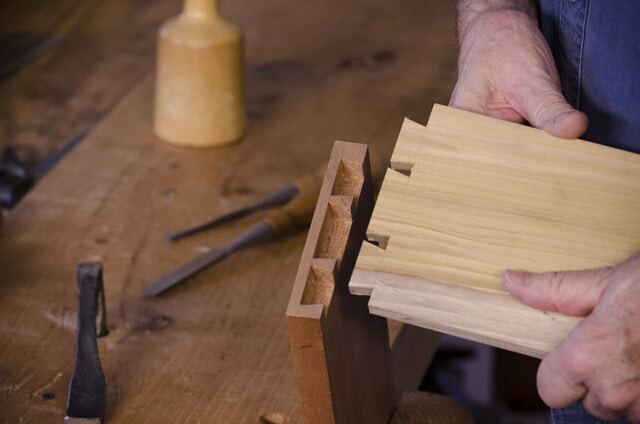 Yes, I love being able to mill up most of my boards with my power tools. 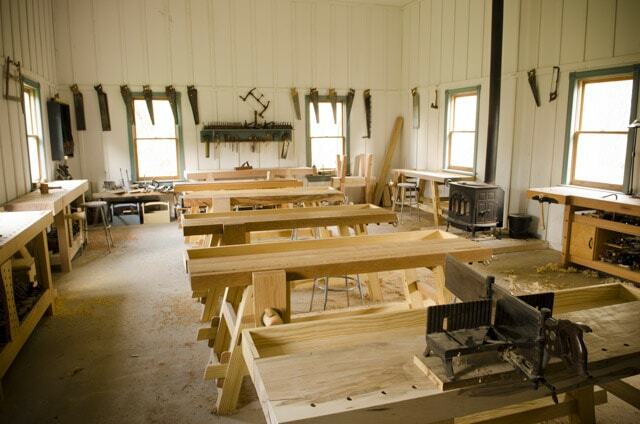 But I try to do as much of my furniture making with hand tools as is practical, and all of our classes are focused on hand tool use. 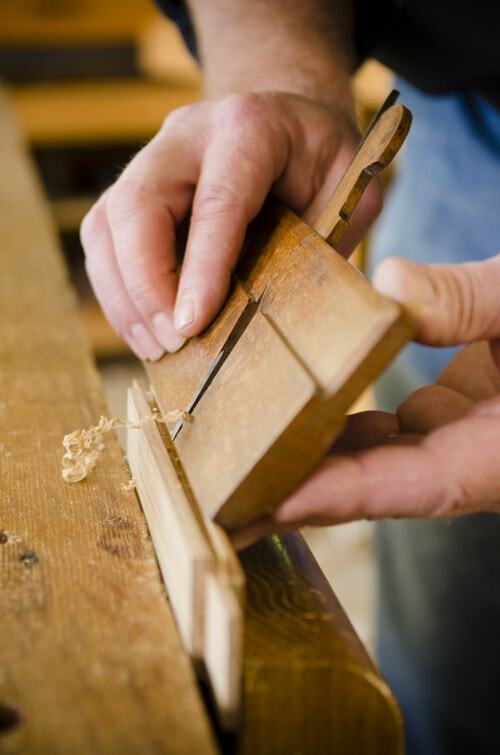 Perhaps one of the greatest reasons why I love building furniture with traditional hand tools, is that it gives me a quiet, peaceful break from the fast-paced, loud, & intense world that I am part of. 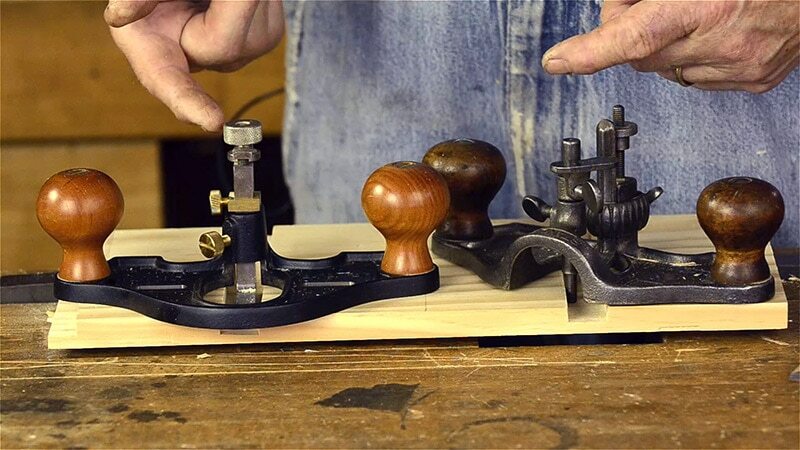 Being able to escape that, and cozy up to one of my workbenches, with a very old handplane in my hand just gives me the warm fuzzies. And it relieves a lot of stress. Heck, I have four wild kids! 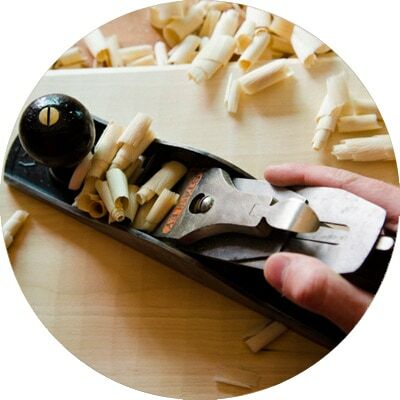 The most visited part of our website is our hand tool buyer’s guides. 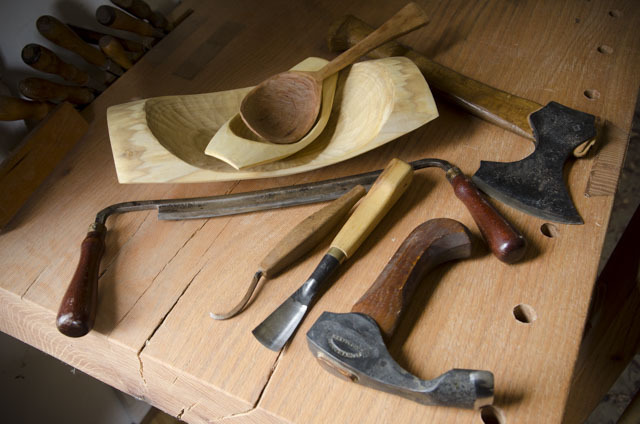 These guides will help you understand which hand tools you need, and don’t need, and where to find the best deals. 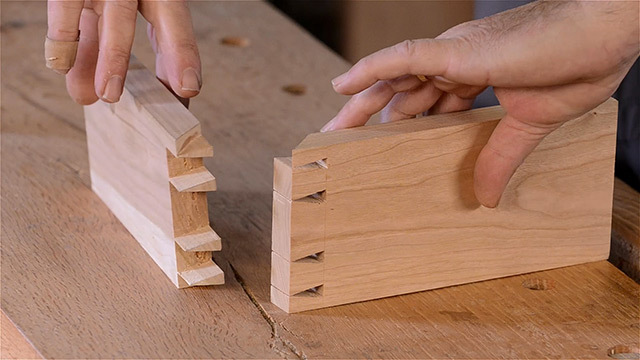 A lot of woodworkers tell us that these hand tool guides saved them a lot of time, frustration, and money. If you’re interested in checking out all of our past tutorials, articles & videos, head over to our blog. 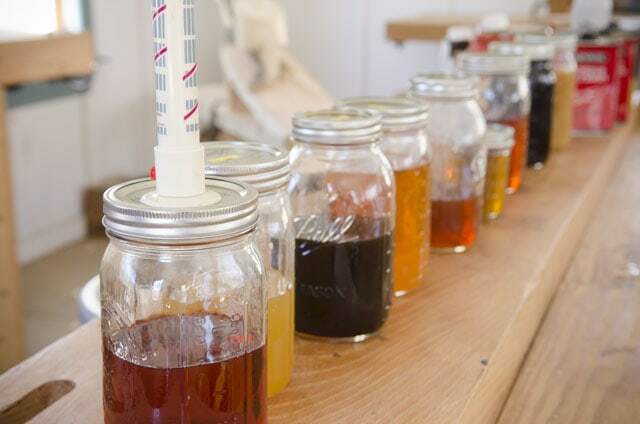 Here are some of our most recent blog posts for you to scroll through. And if you want to be notified, by email, every time we release a new article and/or video, you can click here to subscribe to our newsletter for free! 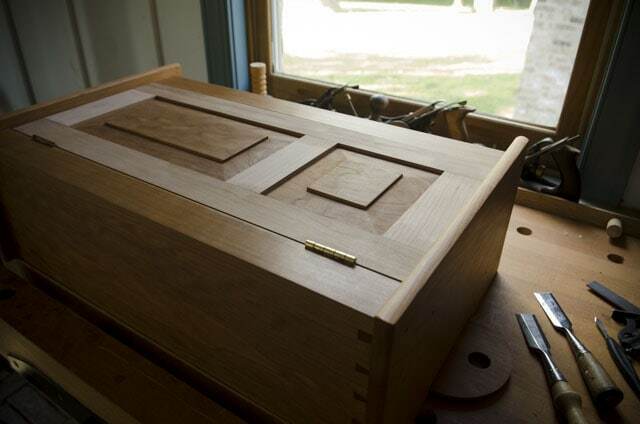 Wanna connect with like-minded people who are interested in traditional woodworking? Got questions? 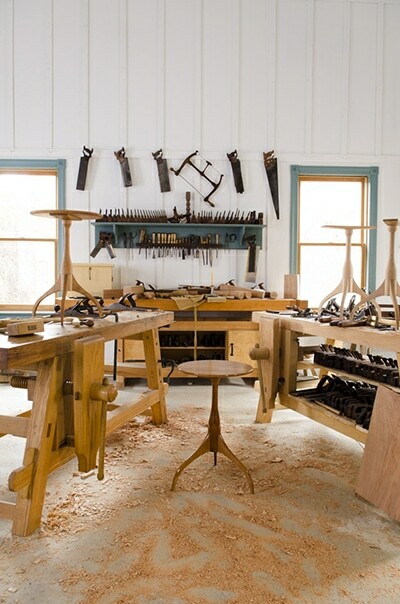 Wanna show off your furniture or tool rehabs? Sign up for our free forum. 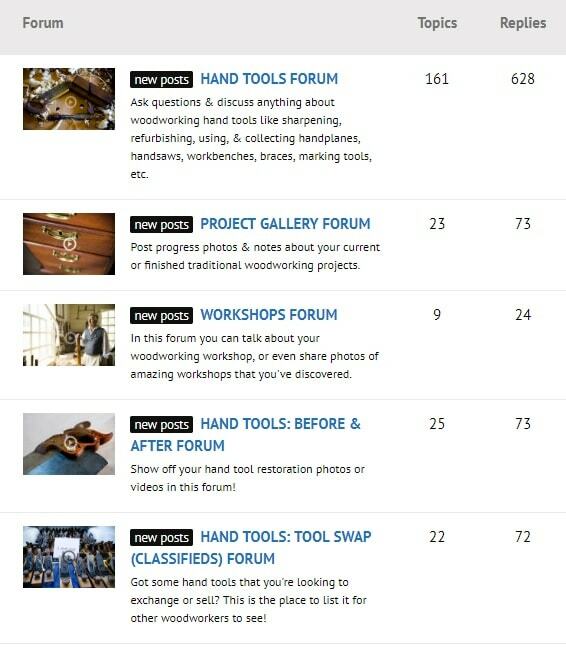 We have 18 different forum categories, ranging from workshops, to tool rehab, to classified swapping, to workbench building, to chair making! 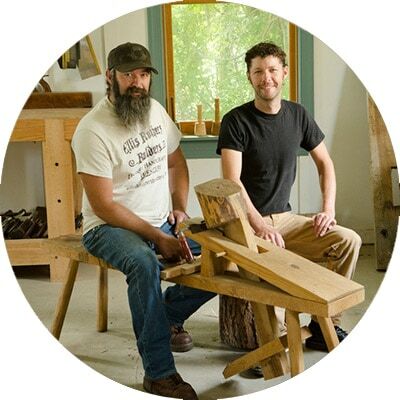 Head over to our store to check out our selection of traditional woodworking DVDs & Downloads, Classes, T-Shirts, Gifts & other Swag for Traditional Woodworkers!